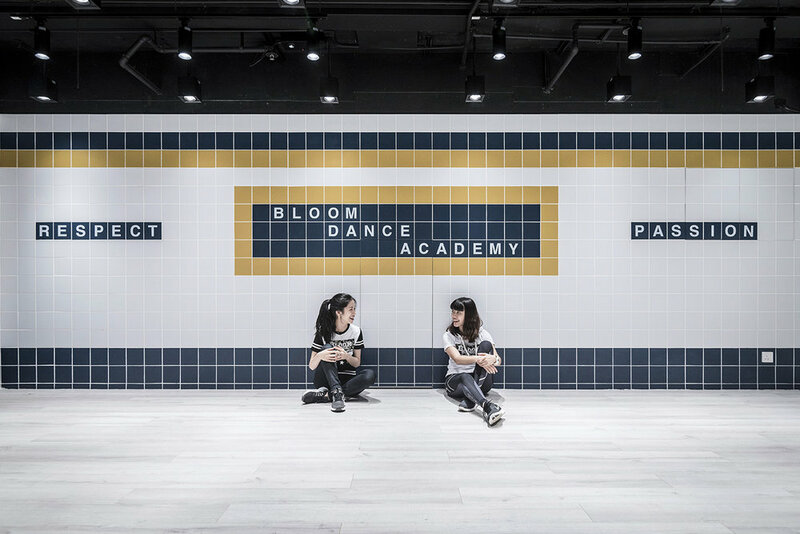 Bloom Dance Academy is a children dance studio in Hong Kong. 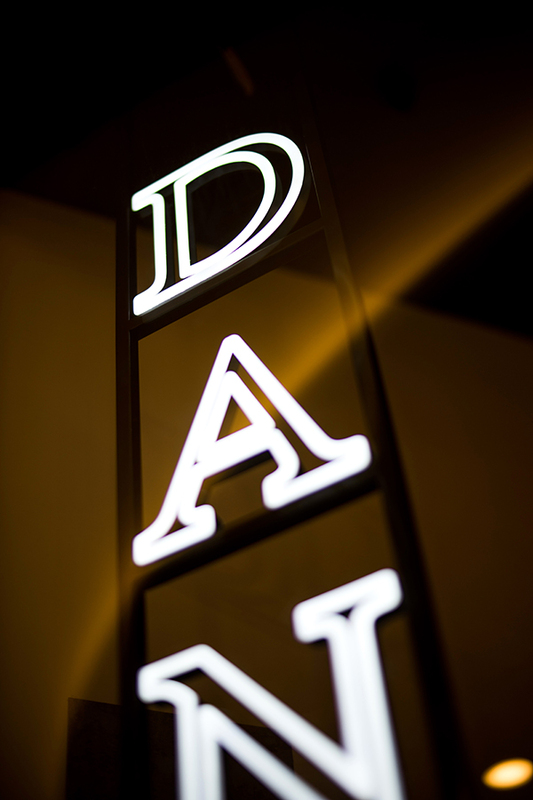 The concept of the interior design revolves around the origin of hip-hop dance – the streets and subway of New York. A playful and eye-catching shopfront, decorated with street elements such as phone booth, oil barrel, neon and traffic light act as the streetscape of the studio and attracts the attention of children. Bright yellow interior in contrast with raw materials such as concrete and wire mesh creates a rustic, industrial yet dynamic environment in a budget-friendly way. 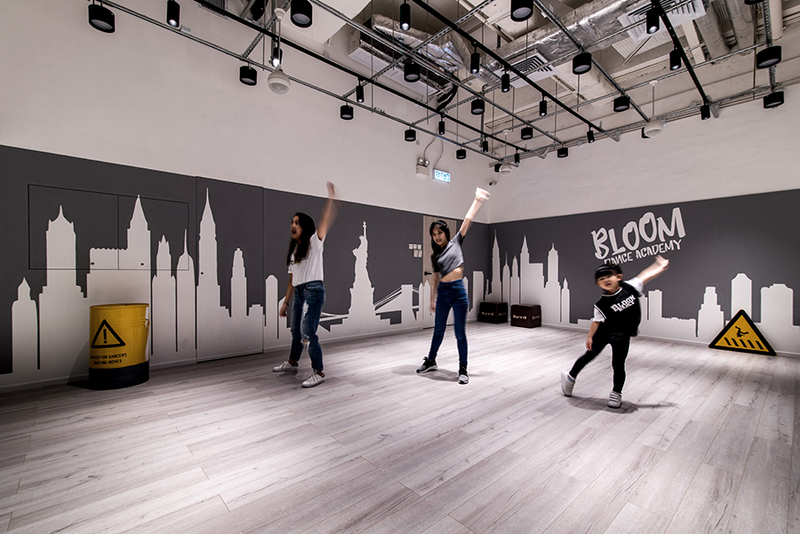 The interior of the dance area was dressed up with the skyline of New York, making the space simply decorated in contrast with the energetic dancing movements inside the studio.